Topping it up is easy. Ideally, you want to aim for a depth of 16 inches of insulation for an overall R-value of 50. When existing insulation is present, simply level existing insulation to the top of the joist. Lay a fire- and moisture-resistant batt insulation on top of joists, running perpendicular to the first layer. Ensure batts are butted against each other tightly. Fit batts closely to cross joists; cut batt if necessary (this can be done easily with a serrated blade or bread knife) and leave no space between layers. Don’t forget to insulate the attic hatch to the same level as the rest of the attic. Apply weather-stripping to the edge of the hatch to reduce air leakage. Keep in mind that only IC-rated electrical fixtures can have insulation placed with zero clearance. Follow the manufacturer’s instructions and local building code to insulate around the chimney. Thanks for sharing this. Having insulation added isn’t a terribly difficult process, and the trouble it can save you to have a properly insulated attic is hard to ignore. 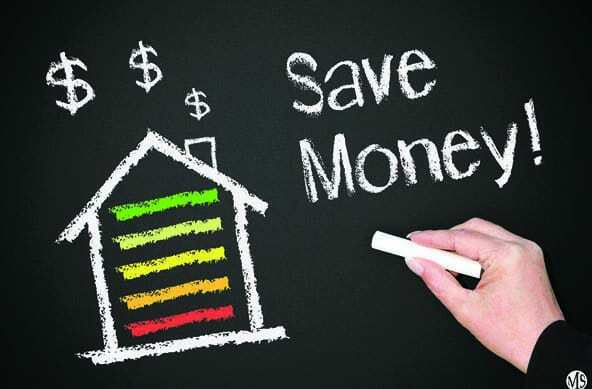 If having your home remain comfortable wasn’t enough reason to have it done, the amount of money saved on utilities should be more than enough incentive to check up on your attic and see if anything can be improved.